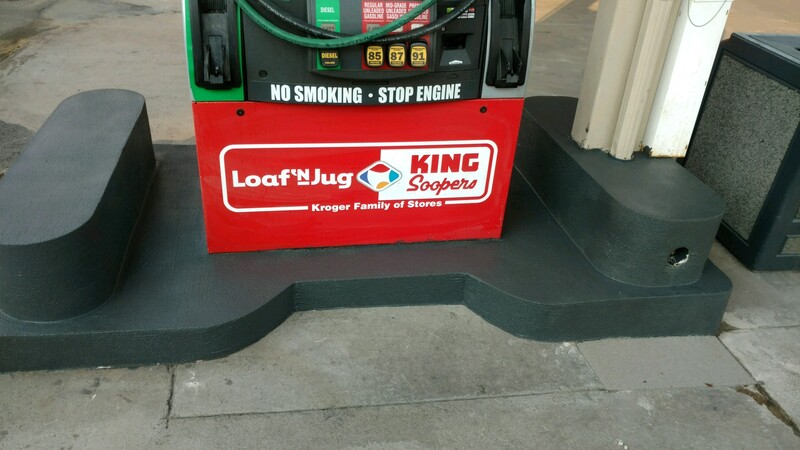 Loaf ‘N Jug had nine locations in Colorado in need of fuel island foundation restorations to improve curb appeal. In addition, the rusted metal bands surrounding the existing fuel islands were a concern due to potential injuries and liability issues. They did not want just a “Band-Aid” that made it look good on the surface, but instead a durable solution that could also be completed within 3 weeks with minimal interference to the daily operations. Simon Surfaces restored 36 gas islands across 9 sites within 2.5 weeks. 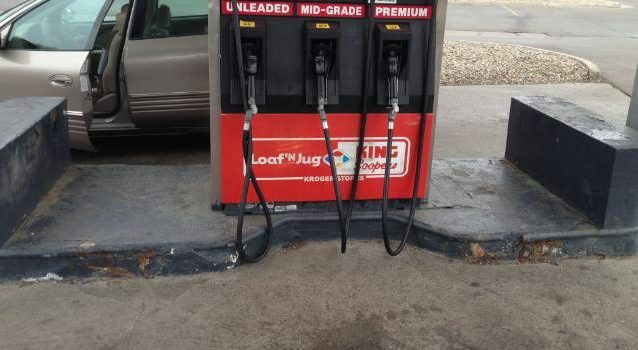 There is no need to remove gas pumps during the Simon Surfaces process, so the gas islands were strategically shut down to minimize inconvenience to customers and maximize revenue opportunity. Offering a unique process using an epoxy-based mortar material that’s nearly three times stronger than concrete and is highly resistant to gas, oil, chemicals and salt, Simon Surfaces was able to provide Loaf ‘N Jug with a long-term solution which does not require metal bands and also eliminated the future risk of rust. PreviousPrevious post:Are your fuel islands driving away customers?NextNext post:Condition of your fuel islands a bit scary?